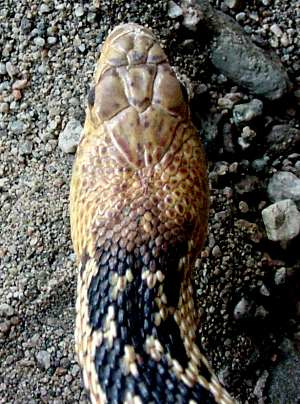 The head and neck of the non-venomous gopher snake are nearly the same width. 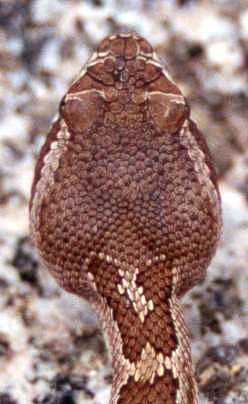 Bulges at the base of a rattlesnake's head hold venom glands, forming a triangular shape. or even this country. Never handle a snake in the wild!